Rhodes is woven from 100% cotton. You get the reassuring feel of quality at your feet, at an even more reassuring price. And with hand and bath towels in this collection, it’ll meet all your needs. There’s nothing like luxury in the bathroom and you’ll get your dose with Rhodes. 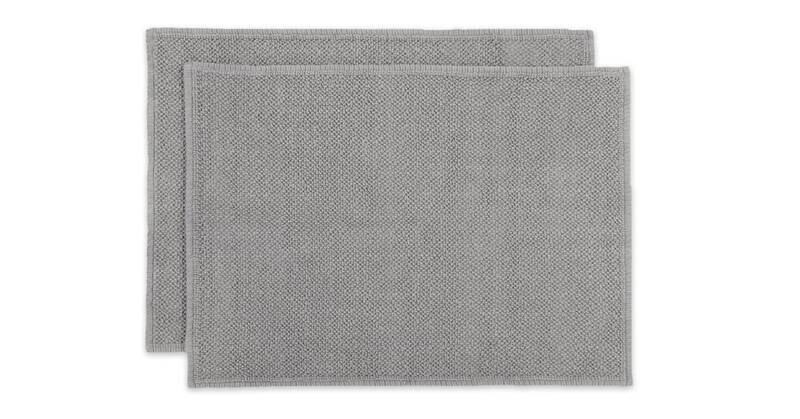 Absorbent and easy to care for, this set of 2 extra soft bath mats has you covered.